คอนแชร์โตสำหรับเชลโล่ ในบันไดเสียง บีไมเนอร์ โอปุส 104 B191. Beckerman, Michael. New worlds of Dvořák : searching in America for the composer's inner life (2003) New York : Norton, c2003. Černušák, Gracián (ed. ); Štědroň, Bohumír; Nováček, Zdenko (ed.) (1963). Clapham, John (1979), Dvořák, WW Norton & Co Inc. New York/London. Honolka, Kurt; Wyburd, Anne (transl.) (2004). 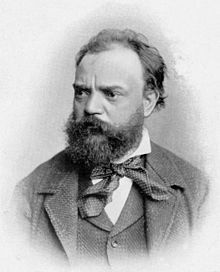 Dvořák. London: Haus Publications. ISBN 1-904341-52-7. Škvorecký, Josef. Dvořák in love : A Light-Hearted Dream” translated from the Czech by Paul Wilson. New York : Knopf : Distributed by Random House, 1987, c1986. หน้านี้แก้ไขล่าสุดเมื่อวันที่ 3 มกราคม 2562 เวลา 13:07 น.